When getting organized there are many tools a person can buy. Avoid unused organizational tools with this mindset coaching article. Above all making, the same mistakes over and over will only drive you crazy. There are three simple steps to avoiding those tools. Before jumping into those steps, let's talk about the current situation at hand. Being organized is only as good as the user. All ideas are great ideas. There isn't a bad one out there. However, the only bad idea is the one that doesn't get used. 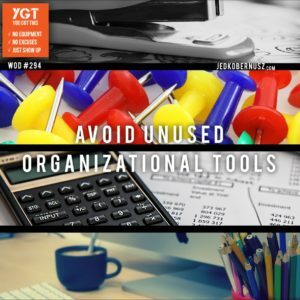 Now that the elephant in the room is talked about, let's get to the three simple steps to avoid unused organizational tools. First, it takes a total commitment. If you live and/or work alone it will be easier depending on the application of the organization. Meaning if there are other people involved it will take a little more work because you can't control that other person. For example, if a marker board calendar makes its way on the wall and everyone in the household agrees to put their schedule on it, it will work great. If and only if the commitment is there will it work. What do you do if or when it doesn't work? Second, stop avoiding the conflict and talk about it. Too many people go silent and try to lead by example expecting the other person to keep up and change. When you talk about it with the other people and start growing with the other person versus pointing out all of their faults things change. Talk is cheap, we all know that. It's only cheap when there's no follow through. Third, is the most important. Without the first two, you won't get to the third. Follow through with what you talk about. That in itself is a massive leap. Avoid unused organizational tools by agreeing in your deepest part of yourself to actually use the tools. It doesn't matter what tool you choose. They all work as long as you use them. Follow through is the hardest part. Because it takes breaking old habits to create new ones. 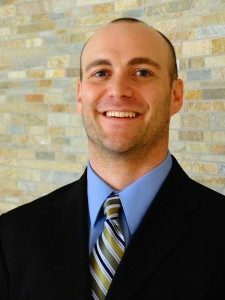 This is a short article because the three steps to avoid unused organizational tools are very simple. As humans, we over think things and over complicate things so fast. It has to be perfect right off the get. Why? If it's something important enough, then eventually it will work. Give yourself permission to keep trying and keep talking about the idea. That's why you're this far into your 365 WOD Journey. Otherwise, you wouldn't be reading this. Thank you for being here. Now commit, talk and follow through.